Nepal Foreign Affairs (KATHMANDU, 6 September 2018) – Chairman of Nepal Communist Party (NCP), Puspa Kamal Dahal Prachanda is leaving for New Delhi today for the official visit at the invitation of Indian government. According to his secretariat, Prachanda will meet all the high level leaders of Ruling Bharatiya Janata Party, opposition Indian National Congress and left parties. He will also meet and hold bilateral meetings with Indian Prime Minister Narendra Modi. This is the first visit of Prachanda to India after the formation of Nepal Communist Party by merging the two largest communist Parties of Nepal- CPN-UML and Maoists Centre. The Indian embassy sources have said this is the continuation of high level engagement between the leaders of both the nations. 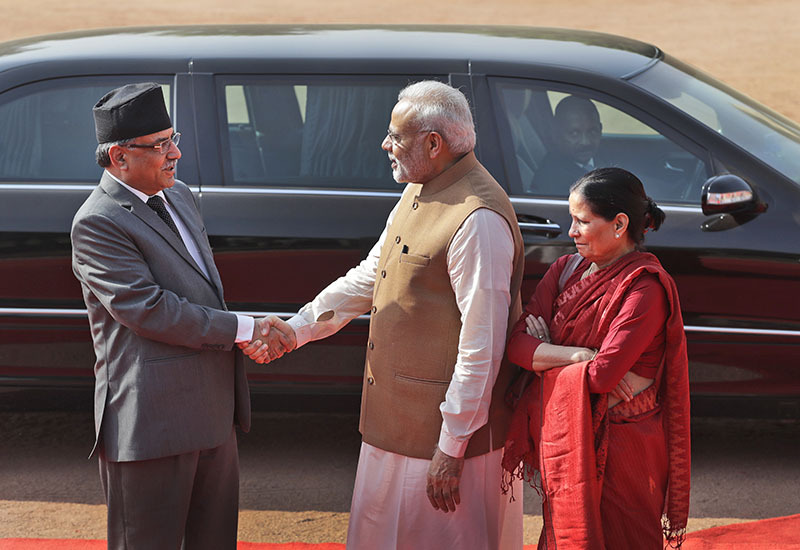 The visit has been viewed as strategically significant since it has been fixed at time when both the Prime Minister Oli and Modi are in constant touch. Prachanda, however, have clarified that he will meet the leaders and will discuss about the promotion of bilateral relation focusing on Nepal’s development and prosperity. In his four days visit, he will be accompanied by his wife Sita Dahal, Daughter Ganga and his personal aide Jokha Bahadur Mahara. He will return home on 9 September.